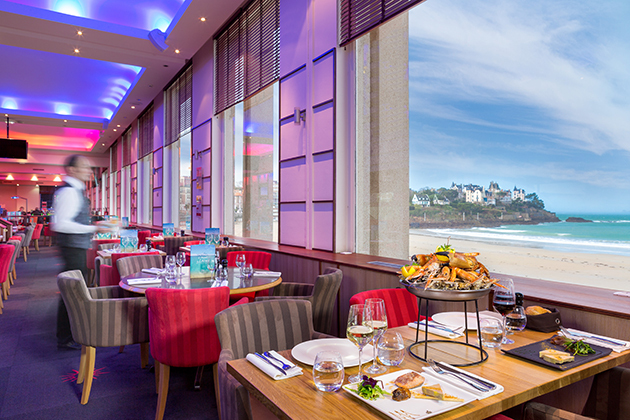 After the excursion in the Bay of Saint-Malo, CRiSIS’17 Gala dinner will take place in the Restaurant of the Casino Barrière Dinard. You’ll have the possibility during this gala dinner to enjoy French Brittany typical platter of seafood, Cancale oysters and traditional cuisine made from seasonal foods, indulge at Appel du Large. Live music will brighten the night with the concept by PAO BRAN. By sure, you’ll spend a typical and extraordinary moment. All in acoustics, you’ll vibrate with the traditional Breton folk sound of bagpipes, bombards, accordéan and other local instruments as much Breton as Irish or Scottish.